I don’t know about you, but I never really consider September to still be the Summer. But it is, until September 22, anyway. Why that matters is that AT&T promised iPhone users in the U.S. MMS capabilities by “late Summer.” So, technically AT&T, you have three weeks. I shouldn’t have to remind everyone how utterly ridiculous it is that about three months now after much of the rest of the world got it, the U.S. still has no MMS capabilities for the iPhone. Reasons seem to vary for why exactly it is taking AT&T so long, but my favorite is the one where they have to manually remove MMS opt-out codes from each iPhone contract. Genius planning right there, if that’s true. And still, why exactly does that take three months? The lawsuits are already starting to come out of the woodwork over the lack of MMS (and tethering) on AT&T. And if AT&T is not able to hit that September 22 date, expect a hell of a lot more. And, of course, more calls for Apple to break up with AT&T. The company bought itself a little bit of time by actually, for once, not having anything to do with a nightmare situation (the Google Voice fiasco). But at the end of the day, AT&T still badly needs to improve its execution. While the service has been doing some upgrades to its services in particularly bad cities (San Francisco and New York), I think it’s all too easy to forget that we really shouldn’t be lauding them for that — it’s their job to provide us with service, and we’re paying them very well for that. They can complain all they want about being overwhelmed, but we all have contracts that state we pay them and they provide us with service. As I see it, only one side is living up to those contracts: Us. While Netflix is dishing out unprompted refunds for little hiccups in their service, many of us have probably accumulated days of basically no service with AT&T. How many of those refund emails have you gotten from AT&T? Because I’ve seen none. Apple is holding an event in one week to show off its new iPods. 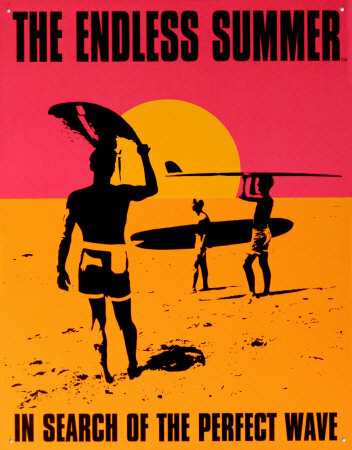 The event is said to be music-centric, but if we don’t hear a peep from Apple about MMS, I’m going to be pretty worried about the whole “end of Summer” promise. Actually, I’m already worried, it’s freaking September. Update: And 12 hours later, AT&T responds: MMS will be available September 25. Yes, that’s a few days into Fall, but I hear Fall is the new Summer anyway.